On a nightly basis, the power of law enforcement is idolized in the news and on prime-time TV shows. The ́programming ́ on television tells us to accept law enforcement’s authority as absolute. It tells us that our neighborhoods are in a state of war, besieged by criminals. It is a ‘Nightly Parade of the Bogeyman’ presented by a media whose job it is to scare you, literally programming us into a perpetual state of fear and uncertainty or an unnatural fixation with violence, carnage, and bloodthirsty vengeance. The fact is, we live in a time when crime is statistically decreasing. Crime is not really getting worse in California; we just hear about it a lot. According to the Public Policy institute of California, our state’s violent crime rate dropped by one percent in 2014 to a 47-year low of 393 per 100,000 residents. Given that crime is decreasing, why do so many people think it’s on the upswing? Quite simply, it’s because they believe what they see on TV. According to a study from Purdue university, crime TV viewers believe there are 2.5 times more murders, than people who don’t watch crime shows, and this has an alarming effect on their mental state. The researchers call it ‘Mean World Syndrome.’ Simply put, people believe the world is a fundamentally dangerous place. Evening news and daily papers portray a reality where crime is out of control and we are all doomed but for a thin blue line of heroes and federal bureaucrats that stand between us and anarchy. This oversimplification of law enforcement spills into prime-time TV as well. Many of the most popular TV shows are police procedurals that present a horrific crime and a miraculous conclusion before the end of the hour. The popular portrayal of crime as ubiquitous and cops as superhuman colors the average citizen’s understanding of the criminal justice system. By “average citizen,” I mean jurors. All too often, I’ve seen the narratives established on TV picked up by prosecutors and police in court, then regurgitated to the jury to help them get convictions. DA’s frequently play to this lowest common denominator in front of a jury. Jurors seem to go right along with it as though they are part of some TV documentary or drama. In 2003, the average local TV channel showed 3.7 hours of news per weekday. By 2013, the number of hours a day dedicated to news had grown to 5.3. In 2002, news accounted for 39 percent of the average TV station’s programming. In 2013, news operations accounted for 50 percent of the total revenue from a TV station. Crime makes for great news production. There is a shocking headline to grab the audience’s interest, there is the mystery of who-what-when-where-why, there is the narrative of good and evil, escape and pursuit, victims and tragedy. It’s all very tidy—especially when law enforcement packages up the narrative for easy dissemination and consumption. The news bureau receives a ready-to-report story from the police, with the potential for press conferences, breaking news, alerts, and updates throughout the day. Almost every law enforcement agency in California has a designated Public information Officer, or PIO. This is a media savvy public relations specialist who packages police investigations and activities into media friendly nuggets. Police control the information about a crime, the victims, the suspects, the charges, the evidence, and the entire incident. Cops release details of the crime that can outrage the public while making the cops look more heroic. One of my cases in the Bay area involved an upright citizen who was active in local commerce, church, and community. On a tip, the police searched his home, found some firearms, and arrested him. As per usual, the police laid out all the firearms on the driveway to make it look like an amazing cache. The guns were described as “dozens of exotic semi-automatic weapons.” The cops were quick to brag about the arrest, publish the name of my client, and set his bail at over a million dollars. He was portrayed as a menace to society, and the cops as saviors who swept an undesirable off the streets. What the cops did not share was that my ‘dangerous’ client was allowed to help the police load their confiscated evidence into their van to keep any of it from being damaged. They did not mention that all the guns had been legally purchased and safely stored. The cops set the preposterously high bail, but did not mention that they let my client go, with no charges filed, as soon as the 72 hours to either file or let him go were through. My client was named on countless news outlets. it was his turn at being the boogeyman in the nightly parade. He was branded as a dangerous nut who owned guns for a suburban army, and should be locked up. But in reality, he was a nice guy, a hardworking dad, with a legally-purchased collection that a few cops got overly enthusiastic about. He was unceremoniously released, free as a bird, with not a peep from the media. Public opinion is swayed early on by the police and news media’s collaborative efforts in presenting the ‘facts’ on a case. News reporters get a readymade story with all the investigative work and half the writing handed to them by law enforcement. The alleged victims are canonized, the crimes magnified, the threat to society blared to the public over thousands upon thousands of TV and radio speakers. Those accused, and their defense attorneys, often do not get to set the record straight until trial. We usually see the hyperbolic inflation of crimes and glorification of police in the mainstream news. But the brainwashing extends into prime time, where police-friendly fiction dominates. Cop shows like CSI and NCIS garner huge ratings and viewership of 10-20 million people per week. Many of them are presented as police procedural dramas. They should more accurately be called pure fiction, or fantasy adventure. But the sad truth remains, most Americans get their knowledge of the criminal justice system from these programs. 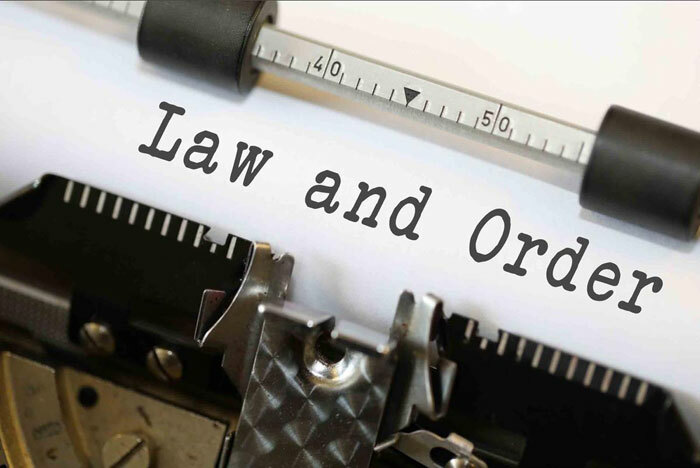 In these law-enforcement-centric shows, the heroes are the police, and they run rampant over the Constitution, and sometimes the laws of science, to catch the bad guys. In TV world, Miranda Rights are for bad guys and asking for a lawyer—“lawyering up”—is depicted as a sign of sleaziness, weakness, or guilt. When a defendant is found not guilty on TV, it is depicted as a trick or loophole exploited by a shady defense attorney, and a reason to get angry at a broken system where the bad guy gets away with murder; a reason to come to court during your inevitable jury service and vote “Guilty!” no matter what tricks the defense attorney may use.